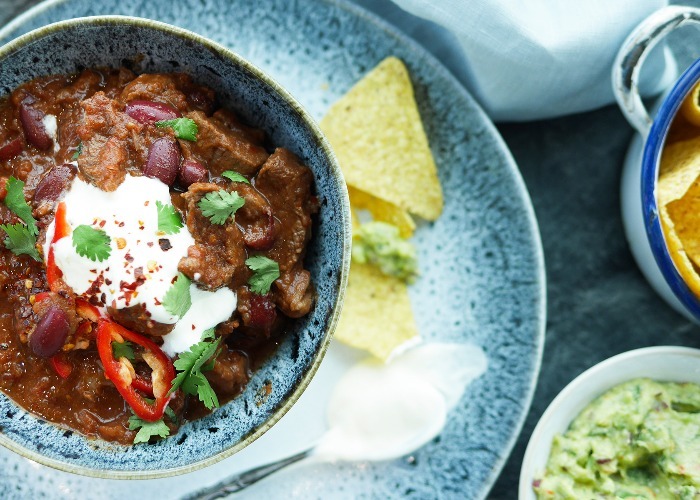 A classic slow cooked beef chilli with smoky, spicy chipotle chilli. Serve with a generous dollop of guacamole and sour cream, tortilla chips and rice – nothing quite beats it. Place the diced onion, garlic, chilli, chipotle paste, carrot, tomato puree, tomatoes and stock into a removable slow cooker bowl and mix together to combine. Add the diced beef and stir well. Cover with the lid and cook on low for 6-7 hours or high for 4-5 hours. Stir in the red kidney beans and cook for a further 30 minutes. Serve with steamed basmati rice, guacamole, sour cream and tortilla chips.